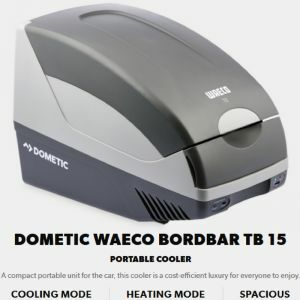 The WAECO CombiCool Absorption Cooler offers a single cooling appliance for all situations. Switch from 12 V DC whilst on the road, in your car, caravan or motorhome, to LPG gas or 240 V mains at your destination. 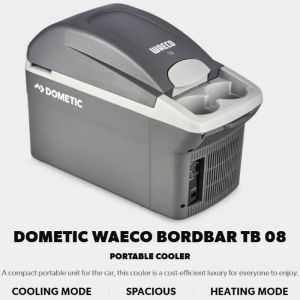 The CombiCool Absorption Cooler offers a single cooling appliance for all situations. Switch from 12 V DC whilst on the road, in your car, caravan or motorhome, to LPG gas or 240 V mains at your destination. The multi-purpose CA-35 is an efficient quick chiller. Extra-efficient insulation and an all-round rubber seal. Ready for connection to 240 volts AC mains power, 12 volts DC or LPG gas.